The modern world consists of digital data. We encounter them every day, sending information, photos, videos, or music. We connect within one network. This network needs a structure through which information that is important to us can be transferred. We, Linkbasic company Supplier key elements for this structure – 5e/6e6A cables, optical fiber, keystones, patch panels and 19’’ networking cabinets – both wall and ground based. Our products are designed to range from solutions for small companies, such as 6U wall based cabinet, to huge server rooms able to satisfy every customer no matter the needs, lie our Data Center instalment. One thing you can be sure – if you need networking solution to build web structure, you will find it here. Our headquarters is located in Shanghai, the economic centre of China. One of our two factories produces cables in Shanghai, while the other produces connectors in Yuyao, Zhejiang province. We have been present in Europe since 2008. Sunnyline Poland, our partner and the general importer of Linkbasic products, is responsible for the sale and promotion in the EU. Our highly qualified staff cares about maintaining the highest standards in activities of our company, starting from the innovative research and design of new products, through production and warehouse control, ending up with maintaining high standards of sales and customer service. Our R&D team provides full support in terms of technical solutions. We have implemented a control system and procedures to ensure that all employees are responsible for the quality of their work. Since the trust of our customers is extremely important to us, we continuously take care of the strict observance of procedures to ensure the highest quality and satisfaction with our products. Our partner – Sunnyline Computer Products Poland Sp. z o. o. is responsible for sales and support before and after sales of our products. It does not matter if you build web structures, or sale their components, contact our partner, and he will help you to choose the best product you need. Over 15 years of experience in the field of products for the construction and development of computer networks has provided us with appropriate knowledge to assist you in solving difficult problems. We believe that it is important to share this knowledge with our customers through the use of training resources. These activities are constantly being developed on the basis of your feedback. As for the contact with our customers, we care about maintaining high standards of the company, which makes it easy and enjoyable to cooperate with us. Linkbasic uses the highest quality machines to make plastic parts by plastics injection method. We provide strong commitment to quality improvement process based on precise devices, well-trained staff and an excellent management team. Our production facilities are equipped with technologically advanced machines that allow e.g. tool prototype production, electroplating, stamping, forming, precision stamping, automatic assembly and packaging. Our machine park is equipped with CNC devices, which allows us to accomplish urgent orders of our customers. 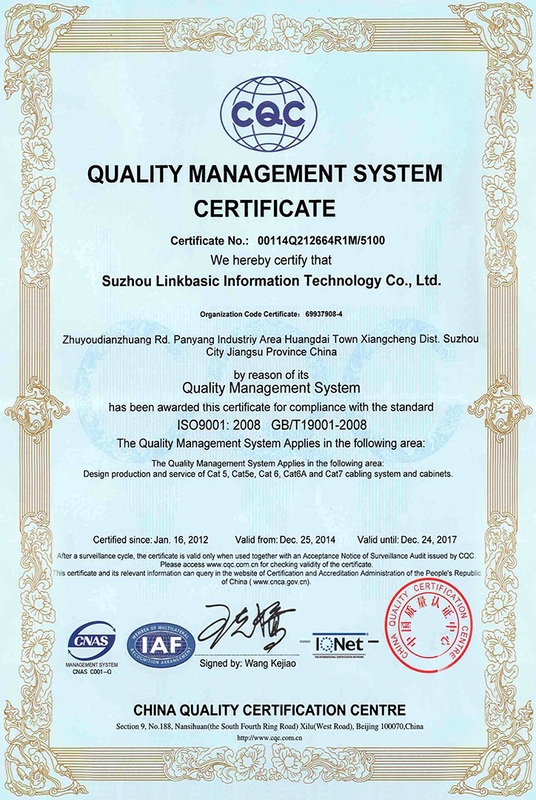 At Linkbasic, high quality of our products is our priority. We are ISO 9001:2008 certified. Through the hard work of constantly improving our products and services so as to provide maximum satisfaction to our customers. Our management team allocates considerable resources to the development of employees during their professional activity in the company. Each employee is trained in the mission and quality policy in force at our company. In its actions, Linkbasic aims at securing necessary resources and achieving full satisfaction that comes from our commitment to ensure customer satisfaction and continuous improvement of the effectiveness of our Quality Management System according to ISO 9001:2008 standard.